Having dominated the theatre circuit in the North of Ireland with consistent sell out shows including a phenomenal performance at The Grand Opera House, Belfast; The Bjorn Identity really are a tribute band at the top of their game. Their hugely dedicated fans, are in no doubt of the quality of musicianship and showmanship of these local Irish performers who despite their location boast singers and musicians with UK NO.1 touring & West-End theatre credits and are proud to have also toured extensively internationally. Their fans simply can’t get enough, returning again and again to see them perform the greatest hits of ABBA and also the lesser known album tracks for the more die-hard Abba music fans. 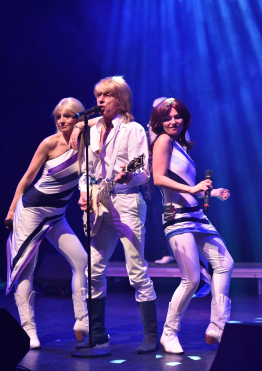 The producers of Ireland’s favourite Abba show are massive fans of the sensational Swedish pop group and this passion, love and respect for the music of their tribute idols is reflected in the tightly delivered Abba tribute experience in every performance. This top-notch Abba Tribute band has been ‘wowing’ audiences live on stage since they burst onto the local music and tribute band scene in Northern Ireland in with their first official shows in 2011 after it was conceived and in development as an Abba in concert production in 2010 and they continue to be an in demand band across the whole of Ireland, UK and abroad. No strangers to performing across the whole of Ireland, The Bjorn Identity have become a household name with fans spanning the length and bredth of the country. 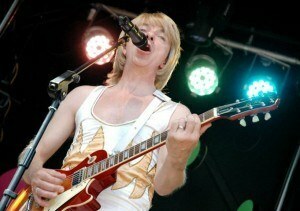 Having mostly concentrated their efforts performing in mainstream theatres in the north and north west of Ireland, The Bjorn Identity can no longer deny the demand from their Abba fans in the South of Ireland who have waited patiently for them to have an opportunity of bringing their show to theatres in Dublin. 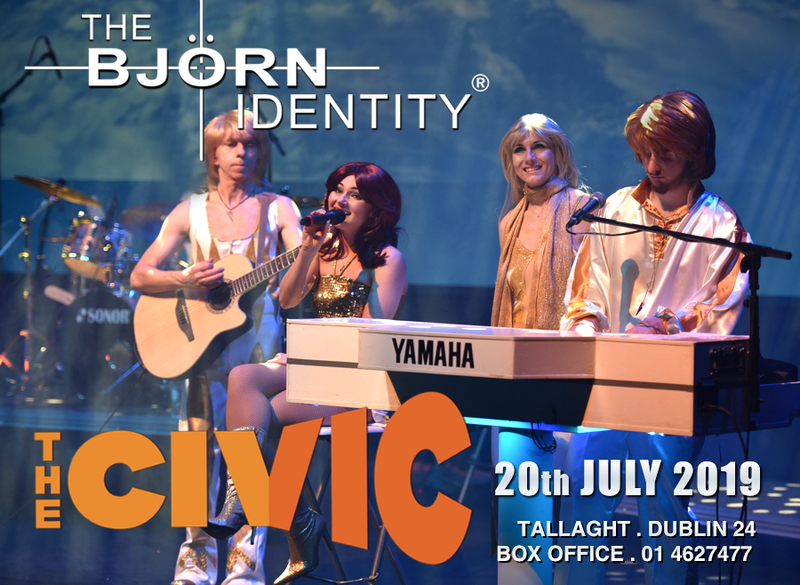 On the 20th July 2019 – The Civic Theatre in Tallaght play host to The Bjorn Identity who will be recreating Abba in Concert and is the only place to be in Dublin if you are looking for an amazing night out this summer night in the city. 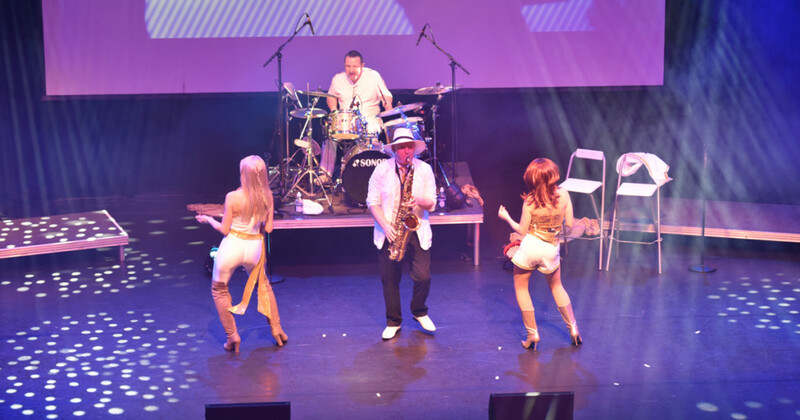 With a 6pc live band and a showstopping featured saxophone player, The Björn Identity ® are Ireland’s greatest tribute to the world’s most famous super group – ABBA and early booking is advised! A superb Abba Tribute show with first class tribute artistes that exceed all expectations, this show is at it’s heart, the most authentic ‘ABBA in Concert’ experience your will have ever seen from any previous Abba act who have performed locally. From the detail of their replica costumes, vocal likeness and classic Abba style choreography, they even feature Benny’s famous white Yamaha piano. Benny is played by the astoundingly talented and accomplished MD & Pianist Mr Ryan Greer. Agnetha & Frida are played by Karen Rush ‘Abba Gold, Abba Mania Europe, Abba Magic’ & Diana Nesbitt a stunning singer and TV presenter bjorn in Russia and lastly the band’s namesake Bjorn is played by Richard Doubleday, actor & musician of ‘Game of Thrones’ and RTE’s ‘Resistance’ fame; whom, incidentally is married to Agnetha in real life… now that’s what we call authentic! Mamma Mia here we go again – with the Bjorn Identity debut at Civic Theatre Dublin 2019. Tickets are now on sale – early booking advised!